Back when Google first showed off Google TV, there was great optimism amongst the technorati. What could really go wrong? Google, the world’s top search company was promising to bring a little more order to the complicated world of television. Finding movies and TV shows to watch was no-longer going to be the hunt for content that we’ve all come to hate, and all was going to be shiny and happy in the world of Google TV. Alas, it didn’t really turn out like that. 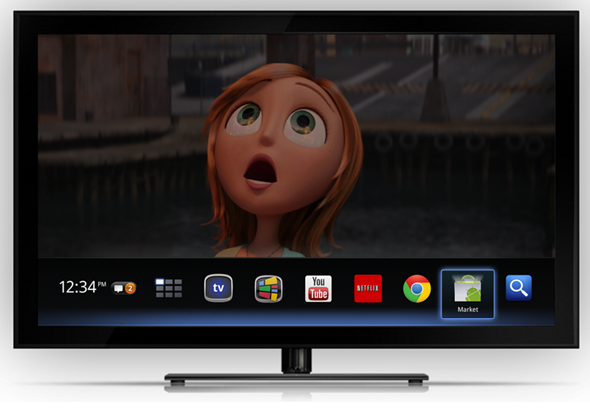 Google did launch Google TV, with Logitech and Sony being their key partners, but it never really took off. 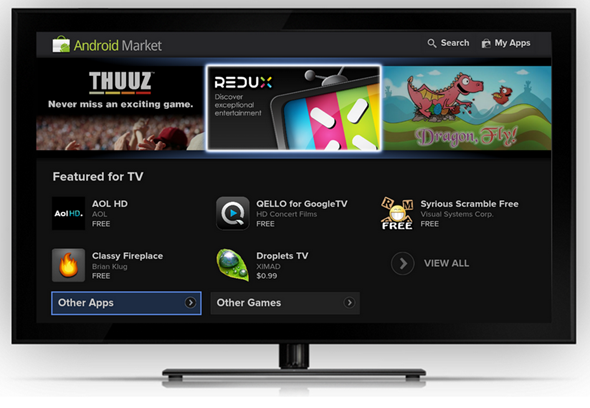 Expensive set-top boxes and overly complicated setup procedures marred the product’s launch, and even once up and running, the prospect of tackling the Google TV user interface put many off, leaving more than a few Logitech boxes sat gathering dust, assuming they hadn’t already been returned. Google, for its part, seems to be acutely aware of the failings of Google TV, and today Mario Queiroz, Vice President Product Management, and Vincent Dureau, Director of Engineering published a blog post showing off what users can expect in an upcoming software update. Interestingly, Google admits that Google TV has had its problems, but with this update they hope to address some of them. The first change on the list is a re-designed user interface. Google has changed the interface and added a customizable home screen, and an ‘all apps’ section plays host to all your favorite shortcuts in a way similar to Android. 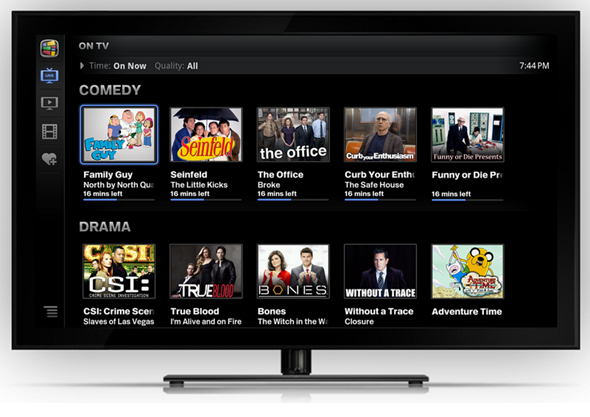 Search has also been improved across all media types, including Netflix, Live TV and YouTube. A new ‘TV & Movies’ app is home to 80,000 pieces of content, should you have one of those nights when you just don’t know what you want to watch. YouTube has also received an update, with search integrating with Google’s own video streaming service. Google claims watching HD YouTube content is now ‘fast and easy’ although we’ll have to take their word for that. The most exciting part of the software update has to be the inclusion of the Android Market. Open to all Android developers, the Market is already home to apps created by fifty developers, although apps requiring a touch screen (obviously) or telephony (still obviously) will not be available. Apps requiring GPS will also be missing. So when will you get your hands on the update? Well, that depends. Owners of Sony’s Google TV-equipped televisions will see the update as early as next week, and Logitech Revue owners will have to wait until ‘soon thereafter’. There may be light at the end of the tunnel, but until we’ve seen some first-hand reports from someone that doesn’t work for Google, we’ll reserve judgment.